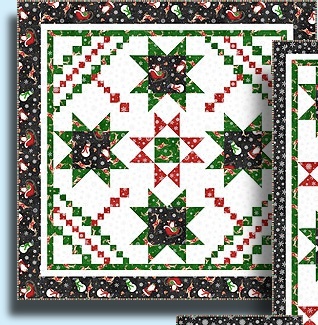 Buy any three patterns & select a fourth pattern free! 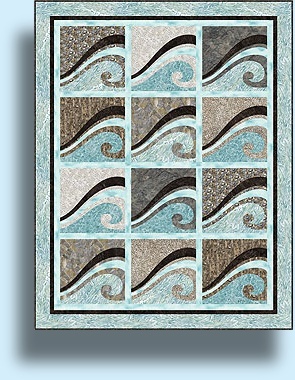 Bolero is made with Northcott's "Shimmer Echoes" collection which has five metallic accented colorways. Each of five colorways are shown here! Made with Northcott's Artisan Spirit Expressions collection. 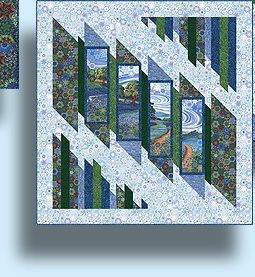 I chose to fussy-cut portions from a panel to piece into the quilt. 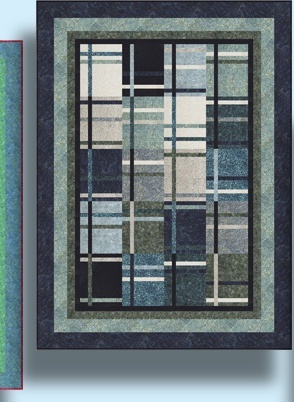 Most of the remaining panel is used for a colorful binding. 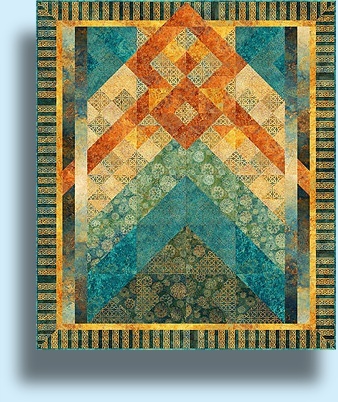 The rest of the piecing is made with textured fabrics in beautiful gradations. 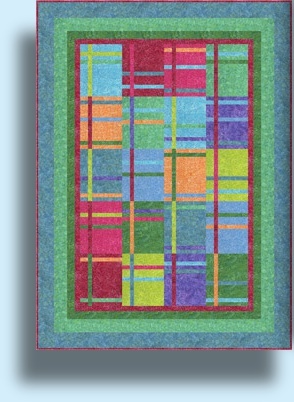 There is no complicated sewing; the positioning of color makes the statement! 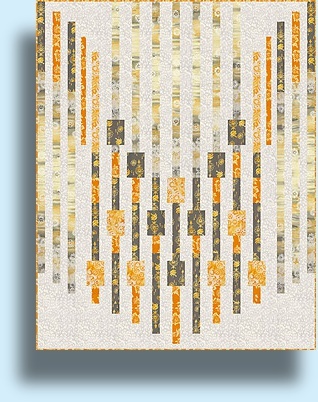 Size, 56" x 70"
This wall hanging is made with Northcott's 'A Stitch in Time' fabric collection. The center block is appliqued. 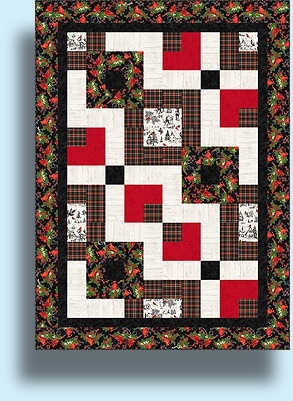 Pattern includes bonus instructions for a matching sewing machine cover you design and make to your own specifications! 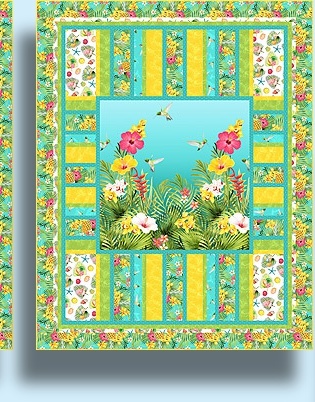 Correction: If you haven't already purchased fabric for this pattern, you'll need 7/8 yd. of Fabric 13. 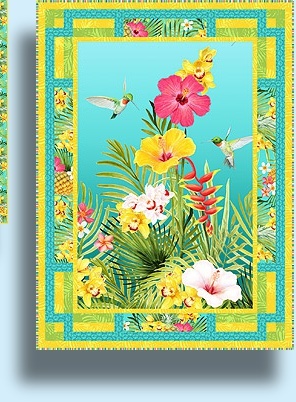 If you've purchased 5/8 yd. 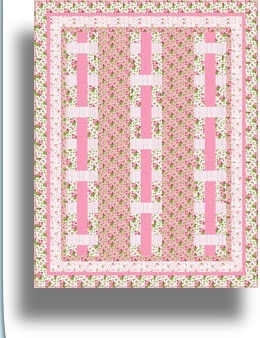 of Fabric 13, click here for a change to accommodate that yardage. 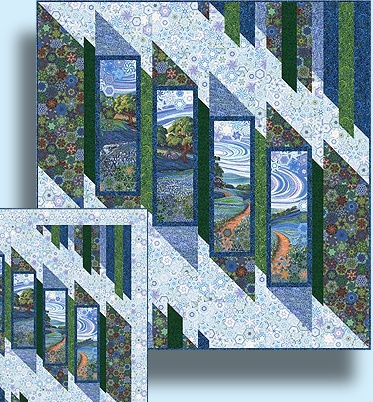 Shops, click here for a pattern insert. 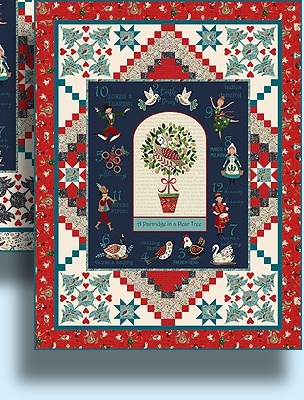 A cheery coordinated set showen with Northcott's new "Up On A Rooftop" fabrics. 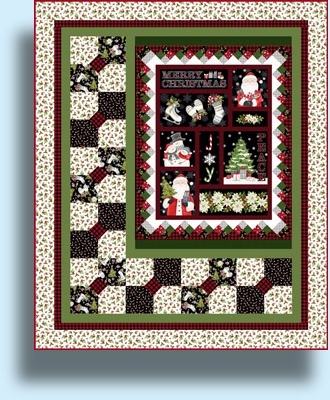 Instructions include a 47" square wall hanging or table topper, a long 20" x 68" table runner and a set of four 14" x 20" placemats. This set would also look great in bright playful prints or solid colors. 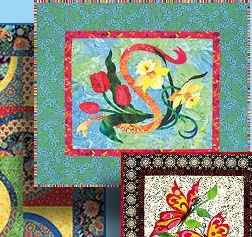 Just choose six complementary fabrics and stitch! Choose five decorator colors to suit your home. 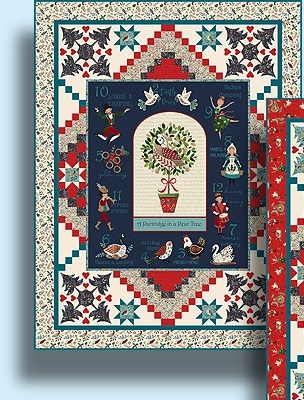 In this updated version of "Promenade", you'll find easier instructions and also yardage requirements for an additional longer version. 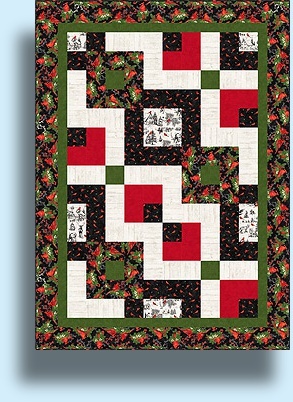 Short table runner: 16" x 32"
Long table runner: 16" x 64"
Cosmic Glow 46" x 58"
Piece the quilt front with big easy pieces, then add more fun by piecing the quilt back using the solar system panel in the center. Instructions for both are in the pattern. The glow-in-the-dark fabric is from Northcott's "Out of This World II" collection. It's a panel, no applique! Exploring the Woods, 50" x 63"
Combine traditional piecing and paper piecing with a vibrant panel to quickly tame this "wild" quilt. All of my patterns include carefully written, easy-to-make instructions. Many are colorfully illustrated and use clear, thick lines. Free Postage for retail orders of forty dollars or more. 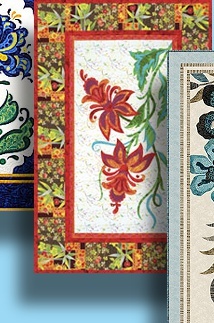 & For every three patterns purchased, select one free! 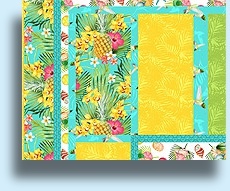 Remember my "Let's Sew Happy" applique pattern? 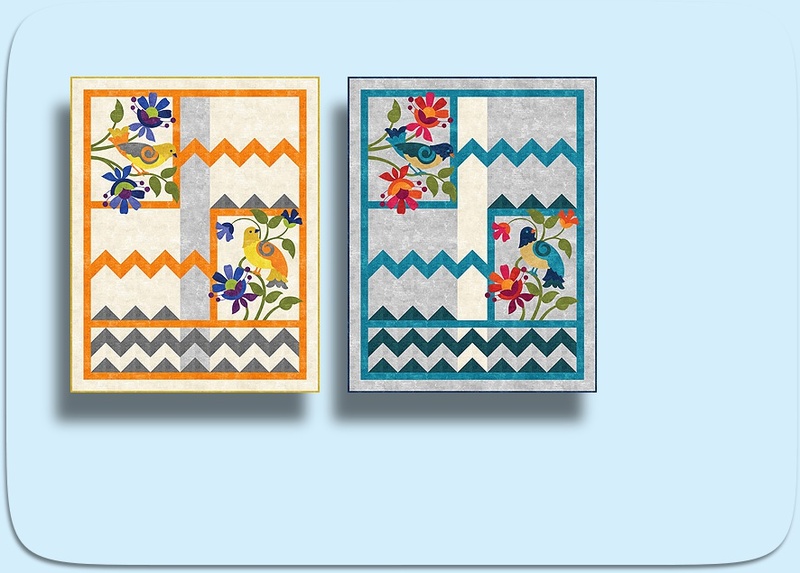 Now you can make it without doing the applique! 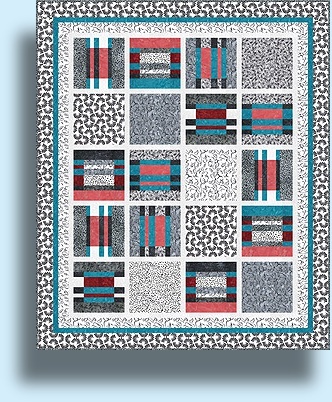 The Sewing Machine design is featured as a panel in Northcott's "A Stitch In Time 2018" collection. 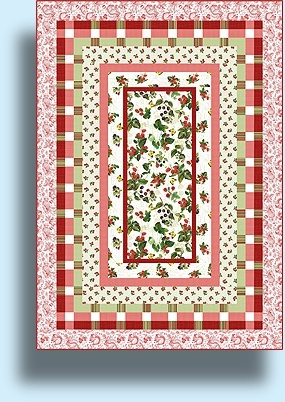 The pattern includes a large lap quilt - 60" x 74" and a 36" x 51" coordinating wall hanging. Open your PayPal Shopping Cart from a previous session. "A Stitch in Time 2018" fabric is available now! 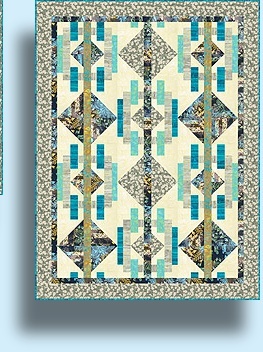 The model quilt, left, uses Northcott's Naturescapes collection, "Pebble Beach" colorway. 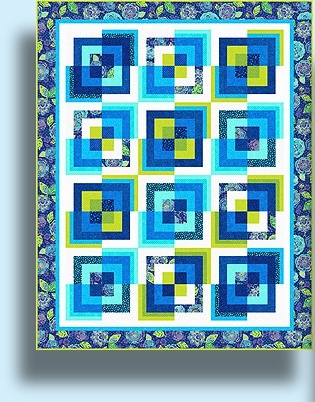 Use the Naturescapes 16" block to make a 63" x 81" quilt, or 11" block to make a quilt 45" x 57"! 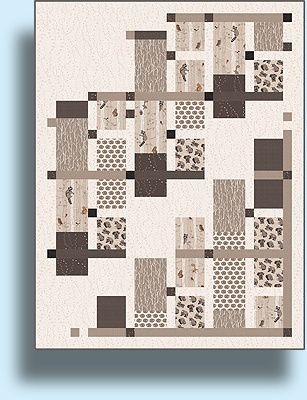 Made with Northcott's "Canvas" textural collection. Applique and Piecing. 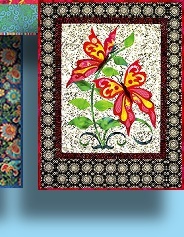 Both Versions in pattern. In Support of Breast Cancer Research. October is always Breast Cancer Awareness Month. As a breast cancer survivor myself I know the importance of research and the hope of new treatments. 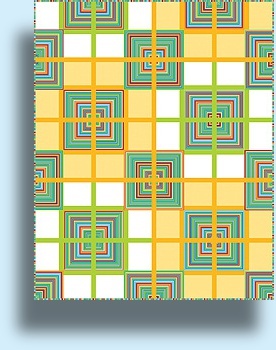 Weaving Hope is my small support and "Thank you" for the effort to control and stop all cancers. 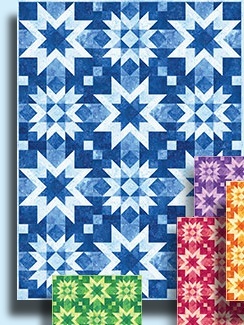 While the fabric shown is no longer available, please make this quilt your own! 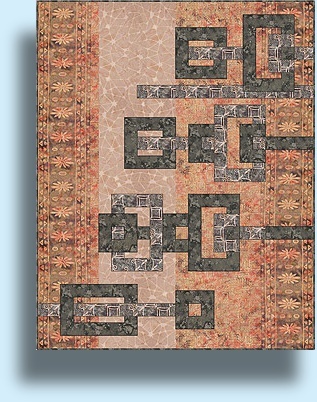 Quilt Size is 32" x 44"
Made with Banyan Batiks' Primitive Lines and Ketan collections. 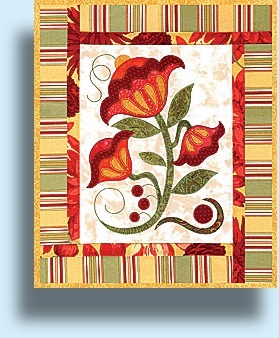 Techniques: Piecing and Fusible Applique. 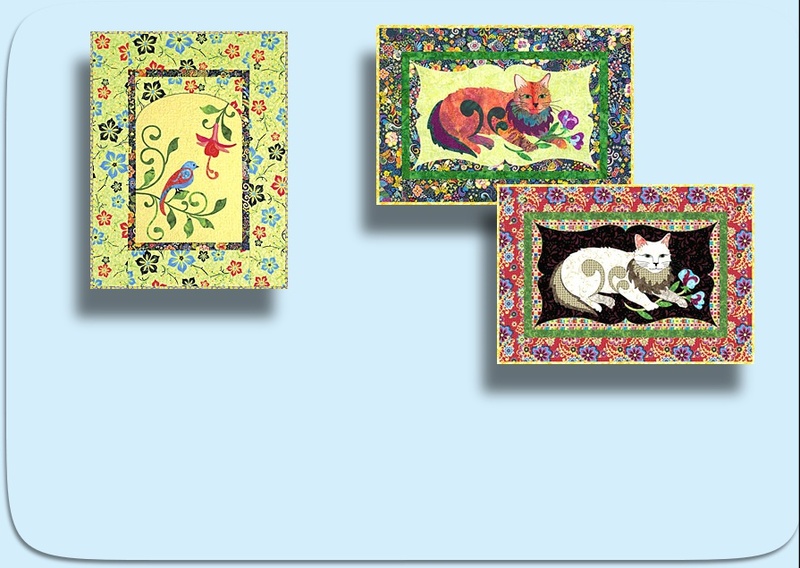 Made with Northcott's "You Had Me at Meow" and "You Had Me at Woof" fabric collections designed by Florence English. 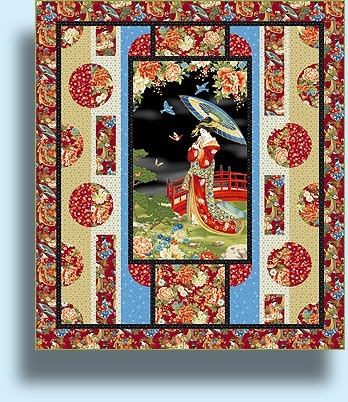 Uses fabric panels in the center. 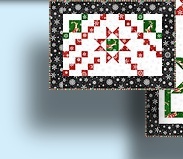 Both versions are in the pattern. Fabric "E" was omitted from the cutting instructions. 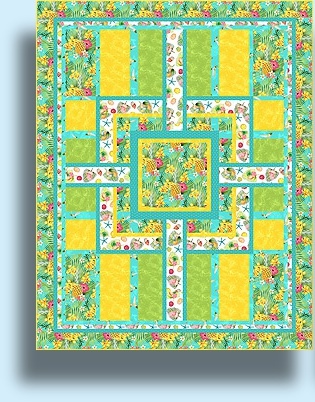 You will need to cut 4 - 2" strips and 4 - 2 1/2" strips from Fabric E.
Click here to download a printable pdf of the page 1 instruction. Instructions for two versions. 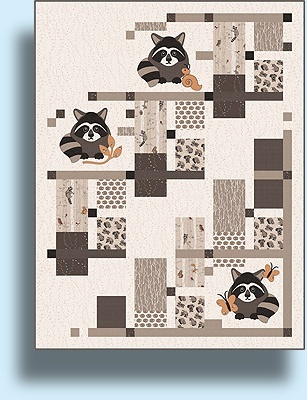 One version is pieced and then appliqued with cute and curious raccoons. Or if you prefer, make the pieced only version instead. 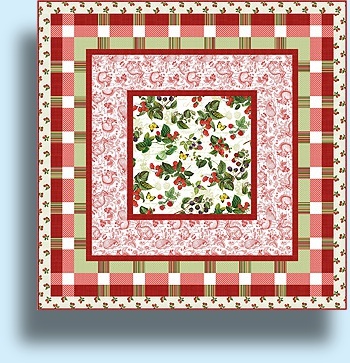 Made with Northcott's Woodland Pitter Patter collection. 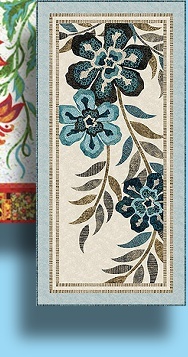 Full size applique templates included. 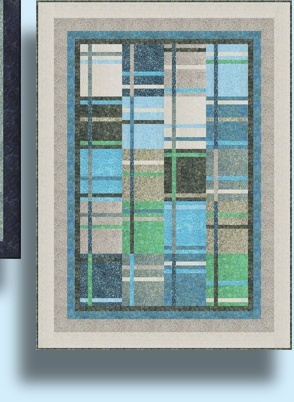 One version is pieced around a printed panel. Or if you prefer, make the pieced only version instead. Both versions make a stunning statement. 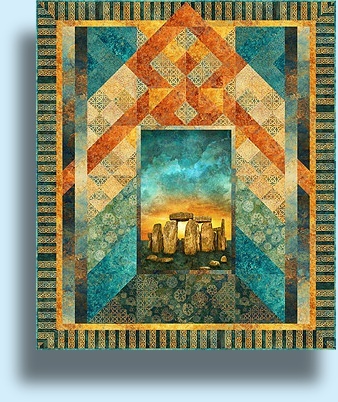 Made with Northcott's Stonehenge Solstice collection. Instructions for two colorways in the pattern. Turquoise/Red or Midnight/Purple. 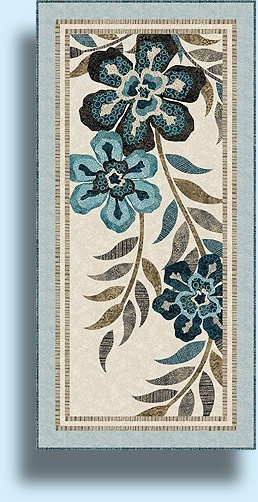 Made with Northcott's Stonehenge Gradations Ombre collection. 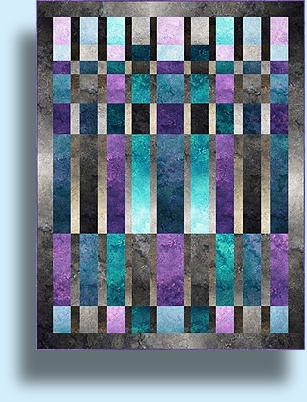 Combine cleverly arranged strip sets for an impression of complexity that is anything but. Instructions for two colorways in the pattern. Made with Northcott's Sushi collection. 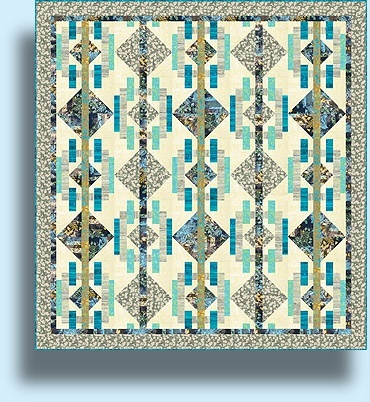 A fun and easy little quilt to piece. Spring is here and even in the chilly north we're getting warm(ish) days. 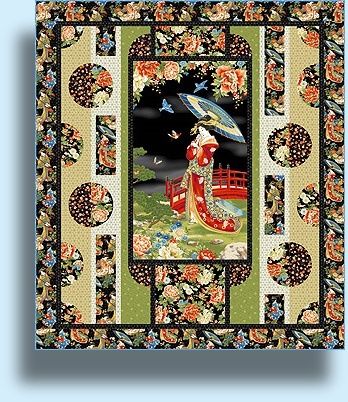 Four new QP patterns are can be found here or at your favorite shop. Below you can find Counterpoint, Crossroads, Double Delight and Harmonics. And below those patterns are the very recent Standing Stones, Raccoon Playground, Elemental and Zippy Combo. I hope there's a pattern to tickle your fancy! 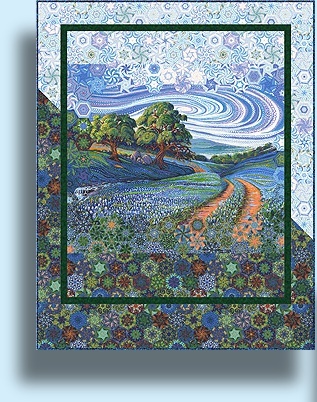 Note that Elemental includes a pattern correction, which you can download below, near the quilt's images. 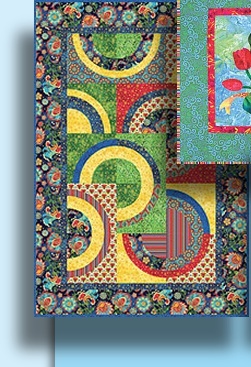 What's happening here other than quilting? Spring cleaning has caught up with us. We need a Roomba. I wonder if they really work. Are there any robots that will dust, do laundry, wash dishes (and put them away without breaking any)? And would it be too much to ask for one that does grocery shopping too? (And picks out good apples.) Oh well. I suppose it would just spend money out on the town, plugging in to gourmet electricity rather than charging up on the regular old household stuff. Still ... . In a closer future we're looking forward to seeing some greenery outside. The sun has been bright and beautiful this past week! First mosquito any time now. Kidding. It'll be at least another week or two. Really we're weeks away from that momentous event. Maybe. As ever enjoy your visit here! Have a wonderful month. Made with Banyan Batiks' Rock City collection. 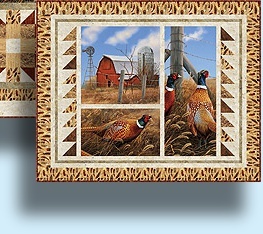 Features an edge to edge border print. 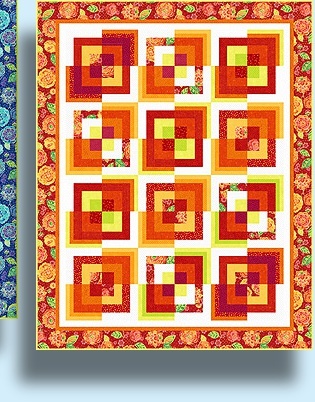 Two companion quilts - make one or both. 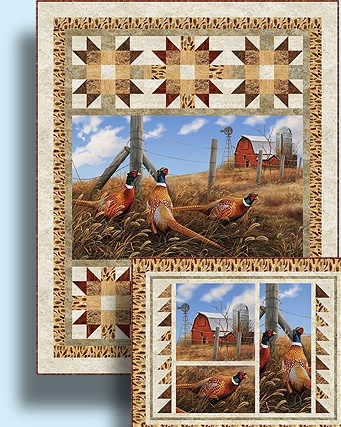 Add a matching wall hanging (28 x 38) to complete the set! The "panel" is actually running yardage. 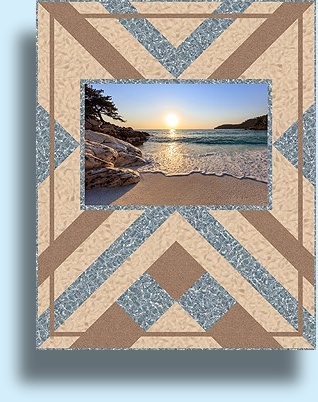 Made using Northcott's Island Sun collection. 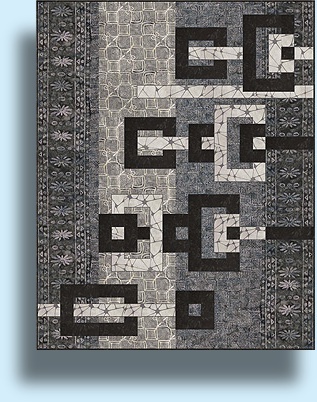 Made with Banyan Batiks' Essentials, Classics and Shadows collections. 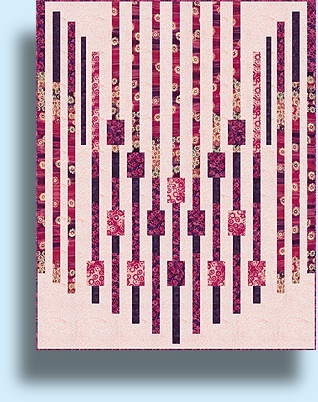 Made with Banyan Batiks' Daisy Chain collection. 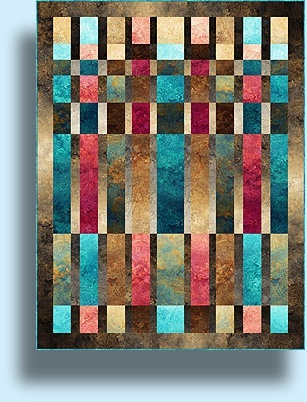 Above, Double Delight Wall Hanging.